We’d love your help. Let us know what’s wrong with this preview of To Each His Own by Leonardo Sciascia. To ask other readers questions about To Each His Own, please sign up. Manno the pharmacist receives an unsigned letter plotting revenge against him. Who would want to hurt this mild mannered, gentle man? Manno and his hunting companion are gunned down. Town residents and gossip mongers decide why the crime was committed and pass judgment destroying lives, despite lack of evidence. Author Sciascia weaves a taut tale of crime and deception that is thoroughly captivating. Italy is a country so blessed that for every weed they destroy, two spring up in its place. Two men are gunned down while on a hunting trip and only an awkward high school English teacher is able to see the clues hiding right in front of the police's noses. While this may sound awfully contrived and laughable, Leonard Sciascia truly makes it sing in his outstanding To Each His Own. This is a mystery as engaging as the best of them, yet uses the plotline as a stage for an elaborate social critique Italy is a country so blessed that for every weed they destroy, two spring up in its place. Two men are gunned down while on a hunting trip and only an awkward high school English teacher is able to see the clues hiding right in front of the police's noses. While this may sound awfully contrived and laughable, Leonard Sciascia truly makes it sing in his outstanding To Each His Own. This is a mystery as engaging as the best of them, yet uses the plotline as a stage for an elaborate social critique and exploration into the abuses of power to sing and dance their deadly dance. Sciascia creates an exquisite metaphysical thriller probing the constructs of the genre, teasing the reader with twists and turns in order to analyze the nature of investigation and crime, but more importantly an investigation into the nature of investigation. With a wide range of characters—all stunningly fleshed out and breathing freely on the page in a way that is all the more impressive given the short length of the book—all casting uneasy glances at one another, the reader is pulled along on a wild ride of clues and coincidences all leading to a violent and shocking finale. Sciascia has a gift for critique and character analysis, and keeps his audience up all night pondering and laughing. This novel is often surprisingly funny in an offbeat and dark way. 'Some things were delicate, dangerous even, but all he ever wanted was to turn them into a joke.' Who is the killer, and why do the powers that be seem to have blood on their hands? Sciascia's social critique is sharp and deadly, and a novelist that should become a staple of all crime and literary lovers. Non è però il solito giallo. A mio avviso si tratta invece del più bel romanzo di Sciascia. E questo può bastare per motivarne l'altissima qualità riscontrata. Siamo ovviamente nella sua Sicilia, di cui viene data una rappresentazione pittoresca e allarmante ; dietro il pittoresco si nasconde la tragedia. E' trascorso del tempo, ma rimane un punto fermo il motto gattopardiano del 'cambiare perché nulla cambi' . Un notabile del luogo infatti dice: "Abbiamo rosicchiato per vent'anni a destra, ora è tempo di rosicchiare a sinistra. Tanto non cambia niente" . In mezzo al quadro sconfortante che emerge, colpisce il senso di solitudine di chi non condivide questa realtà violenta, corrotta e omertosa, dove ognuno fa i fatti propri e tace. Il titolo di sapore pirandelliano qui si colora di nero e proietta un'ombra d'inquietudine che raggela. Un giallo che non è un giallo, ma è meglio di un giallo, è una lezione sulla forza del male. Il silenzio, l’omertà, il malaffare, il crimine, la mafia, il Male sono come una ragnatela che con fili resistenti avvolgono quanto accade nella terra sicula (e non solo) impedendone la penetrazione a chiunque sia un “cretino”, un illuso quale l’ingenuo professor Laurana, che si improvvisa detective con un entusiasmo donchisciottesco del duplice delitto del farmacista Manno e del dottor Roscio, preceduto Un giallo che non è un giallo, ma è meglio di un giallo, è una lezione sulla forza del male. Il silenzio, l’omertà, il malaffare, il crimine, la mafia, il Male sono come una ragnatela che con fili resistenti avvolgono quanto accade nella terra sicula (e non solo) impedendone la penetrazione a chiunque sia un “cretino”, un illuso quale l’ingenuo professor Laurana, che si improvvisa detective con un entusiasmo donchisciottesco del duplice delitto del farmacista Manno e del dottor Roscio, preceduto da una lettera anonima in cui al farmacista viene minacciata la morte. Il suo essere fuori dagli schemi immutabili che in terra sicula si ripetono da tempi immemorabili porterà il professor Laurana ad una fine purtroppo prevedibile. Anche per lui vale l’ UNICUIQUE SUUM, guarda caso motto dell’Osservatore Romano, a coinvolgere la Chiesa nella regola dell’omertà che vige nella realtà siciliana esplorata da Sciascia nelle pieghe più oscure, tra le voci del paese e i silenzi che dicono più di mille parole, la religione della roba, il mito carnale della donna da letto impersonata da Luisa Roscio. Un romanzo imperdibile, assolutamente da leggere e magari vedere poi il film di Elio Petri, con un grande Gian Maria Volontè ed una carnale Irene Papas. Quante cose può contenere un romanzo in sole 127 pagine se a scriverlo è Leonardo Sciascia! C’è uno spaccato di Sicilia anni ’60 (ma non solo), c’è il giallo (un duplice omicidio) e c’è la denuncia sociale; c’è la mistificazione, la vigliaccheria, l’omertà, la complicità, l’opportunismo e la giustizia impossibile; c’è l’avidità di denaro, la corruzione, l’inganno, la falsità, l’ignavia e c’è il potere malavitoso, la Mafia. Infine c’è la dolorosa (e frustrante) consapevolezza di un male inestirpabile, invincibile: solo un “cretino” può illudersi di farcela. Essenziale, incisivo, senza retorica, lucido fino all'amara ironia. This corsair that has been Sicily, with the splendid leopard rampant on its prow, the Gutosso colors in its great shield, with its crew of headline-seeking mafiosi and the politicians secretly in cahoots with them, with its engagé writers, its screwed-up logicians, its madmen, its high-noon and nocturnal demons, its oranges and its sulfur and its booted corpses- the ship is sinking, my friend, sinking." First of, some background is needed. Sicily has always had me firmly under its spell. For as long as I can remember, it was the one destination within European borders I desperately longed to visit one day. The island exuded a singular mystique, an otherness, something unfathomable, seemingly impenetrable. It was my very own Atlantis, my Shangri La, if you will. It presented itself as a sort of riddle, but one which at first glance seemed impossible to solve. By osmosis I learned it had a rich yet violent history, it being for most of its existence fought over by external, grander, powers. The resulting amalgamation of different cultural influences (often enforced), moulded it into a unique identity. Of course, being a bit of an italophile, during my life I have frequented other regions and cities of the Italian mainland. Florence, Rome, the region of Tuscany above all, they were like old friends to me. Great food, a wealth of art history, beautiful locales, idyllic towns to stroll through. Yes, most certainly pleasurable. But, also, safe. Even predictable. Sicily though was a different beast altogether, older acquaintances confided to me. In fact, the fiercely independent Sicilians didn't even consider themselves to be part of the Italian nation. They have this peculiarly rebellious, isolationist streak, don't you know. Suspicious of foreigners. Ah, so here finally is danger, here is uncertainty. So it came to pass that two summers ago, I got my chance. By plane, under a setting sun in a clear blue sky, we arrived in Palermo, the capital. Yet we had no interest in that city. Too obvious, tainted by vulgar tourism (yes, I see the irony). In a moment of resolute bravery -or so we told ourselves- we had decided to seek out the less trodden parts of Sicily. Its remote, inaccessible mountain villages, its nigh desolate landscapes, the back alleys with its many, scruffy cats. The rough, authentic side of this island, its true face (in as much as outsiders can glimpse it). It exceeded all my expectations. I didn't "solve" the riddle that is Sicily of course, but I did come one step closer to understanding its psyche. It's an experience I'll hold in my memory forever. The following summer, I developed a deep, melancholy yearning. I wanted Sicily back in my life. Not having the time nor resources to return any time soon, I instinctively turned to that one, utterly personal mental transportation system we all have access to: literature. Who was the illustrious craftsman that managed to transport me back to that halcyon summer? Leonardo Sciascia, with his masterful novella collection Open Doors and Three Novellas. Finally, I was back. Sicilian himself, Sciascia (pronounced as SHA-SHA) deeply knows the soil he hails from. Superficially a writer of crime fiction, Sciascia regards the mechanics of that genre merely as a vehicle for him to explore grander themes revolving around his place of birth and the mentality of its inhabitants. It's subtle, biting social critique/lamentation disguised as whodunnit (the "who" part being a rather secondary consideration). "Used storytelling as an instrument for investigating and attacking the ethos of a culture -- the insular, mafia-saturated culture of Sicily -- which he believed to be a metaphor of the world." So too with To Each His Own, which comes very near to perfection in achieving that fragile balance between fast-paced, unpredictable murder mystery with a literary bent and intelligent, multi-layered social commentary. Furthermore, given the book's short length, it is a miracle Sciascia manages to flesh out the wide range of characters the way he did. The insightful - often dryly understated, darkly comedic - observations, passages and quotes are simply countless, and should by all rights be first encountered while reading the work yourself. I stand firm in refusing to let myself deny you this pleasure. "Non esce mai di casa?" "Mai, da parecchi anni... Ad un certo punto della mia vita ho fatto dei calcoli precisi: se io esco di casa per trovare la compagnia di una persona intelligente, di una persona onesta, mi trovo ad affrontare, in media, il rischio di incontrare dodici ladri e sette imbecilli che stanno lì pronti a comunicarmi le loro opinioni sull'umanità, sul governo, sull'amministrazione municipale, su Moravia... Le pare che valga la pena?" "E che ne sa lei di quello che un uomo può nascondere?" Tutto comincia con una lettera anonima. Una minaccia di morte che si realizza con un duplice omicidio e che solletica lo spirito indagatore del professor Laurana. Tuttavia, è sempre una questione di sguardi, di prospettive. Perchè, spesso, verità e menzogna si vestono di simili colori: è una questione di sfumature. "Una volta, in un libro di filosofia, a proposito del relativismo, ho letto che il fatto che noi, ad occhio nudo, non vediamo le zam "E che ne sa lei di quello che un uomo può nascondere?" "Una volta, in un libro di filosofia, a proposito del relativismo, ho letto che il fatto che noi, ad occhio nudo, non vediamo le zampe dei vermi del formaggio non è ragione per credere che i vermi non le vedano..."
Don't grow too fond of the one trying to solve the murder(s) in a Leonardo Sciascia mystery. Just don't. This is Sicily, where an unnamed shadow creeps over everything, seemingly sees everything, and will always evade the usual constraints of a justice system. Unnamed, but you know what it is. Too, there are many levels of a Sciascia novel. 'A metaphysical detective novel' it says on the back of one cover. Yea, yea. Whatever. All I know is that it allows our crimesolver, in this instance a profes Don't grow too fond of the one trying to solve the murder(s) in a Leonardo Sciascia mystery. Just don't. This is Sicily, where an unnamed shadow creeps over everything, seemingly sees everything, and will always evade the usual constraints of a justice system. Unnamed, but you know what it is. "There's a proverb, a maxim, that runs, 'The dead man is dead; let's give a hand to the living.' Now, you say that to a man from the North, and he visualizes the scene of an accident with one dead and one injured man; it's reasonable to let the dead man be and to set about saving the injured man. But a Sicilian visualizes a murdered man and his murderer, and the living man who's to be helped is the murderer. . . .
. . . if someone may be said to be responsible, we must look among the people who were closest to him. In the case of a son, you could start with me, for a father is always guilty, always. . . ." His eyes seemed lost in the reaches of the past, of memory. "As you see, I am also one of the living who must be helped." No, the father, in this instance, is not the murderer, but I think that passage shows the wonderful moments the reader trips upon in a Sciascia novel. "What animal keeps its pecker in the ground?" Arturo Pecorilla asked from the doorway. Kind of a take-off of the 'man walks into a bar . . .' jokes. Do you know the answer? Peek if you want to: (view spoiler)[a widow (hide spoiler)]. Un indizio, forse tre, per un delitto, o forse tre. Un giallo che non è giallo; o è più di un giallo. 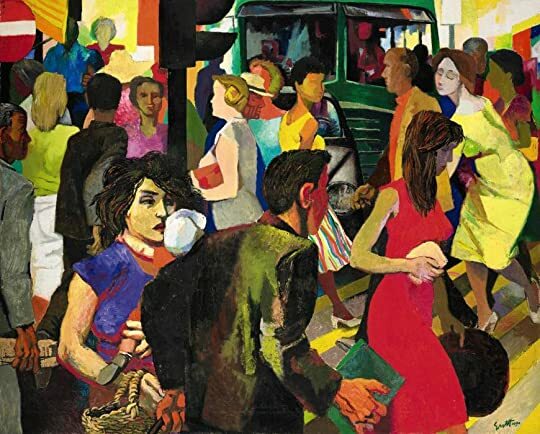 Perché, come sempre, Sciascia si snoda con spontaneità tra immagini di luoghi e ritratti di persone: caricature siciliane, e italiane, di ieri (1965), e di oggi; tra vezzi e (mal)costumi di paese, (mal)abitudini sociali e (mal)affari di politica e di chiesa. Ma, in quel mondo, tutti ci stavano bene davvero, ciascuno a modo suo. O forse [...] tutti allo stesso modo e diverse erano le apparenze. Una vicenda che, comunque rivoltata, aveva un che di equivoco, di ambiguo, per la regola siciliana che afferma: certe cose, certi fatti, è meglio lasciarli nell'oscurità in cui stanno: il morto è morto, diamo aiuto al vivo. Scrive bene, Sciascia; mi piace ed è sempre per me un gran piacere leggerlo: è semplice eppure con una logica sottile; è serio eppure con una ironia disarmante; è "regista" eppure non fa teatro. E quel finale, assolutamente pirandelliano, inaspettato, ma forse prevedibile, assolutamente siciliano: un omaggio al Luigi suo conterraneo che appare anche tra le pagine e alla cui memoria il signor Romeris, [ultimo discendente dell'omonimo Caffè], dedicava un culto geloso, fanatico addirittura. "Non è che non mi capiti, anche qui dentro, di imbattermi nei ladri, negli imbecilli... Parlo di scrittori, beninteso, non di personaggi... Ma me ne libero facilmente: li restituisco al libraio o li regalo al primo cretino che viene a farmi visita". "Anche stando a casa, dunque, lei non riesce ad evitare del tutto i cretini". Grazie a Guido che, col suo bel commento, mi ha invogliato a leggere questo romanzo. I keep on coming across books on Goodreads that I already own and it is like being on a "magical mystery tour". I read this book when I had a great love for anything Sicilian (I still do in fact), be it books on cookery, travel, biographies, history, the mafia, bandits, etc. The list is just endless. And then to go to Sicily and just breathe in the atmosphere and culture is just mind-blowing - well to me anyway. So when I rediscovered "To Each His Own" by this incredible Sicilian author this morni I keep on coming across books on Goodreads that I already own and it is like being on a "magical mystery tour". So when I rediscovered "To Each His Own" by this incredible Sicilian author this morning I was delighted. It is a novella and only 146 pages long in the hardback and quick to reread. The story is relatively simple and concerns a pharmacist called Manno who receives a letter stating quite categorically "This letter is your death sentence. To avenge what you have done, you will die". I wonder if something got lost in the translation here? Well I won't tell you what exactly happened but the inevitable did, of course; and it is Professor Laurana who starts delving into this and soon meets Signora Luisa in the cemetery. From then on, the plot thickens to quote a cliché and the ending was certainly not what I had imagined. Ennesima rilettura. E immagino che non sarà ancora l’ultima. Molto bello questo pseudo giallo di Leonardo Sciascia. Lo chiamo “pseudo” sia perché, in realtà la cosiddetta ricerca del colpevole si risolve in un nulla di fatto, nel senso che diviene poco a poco chiaro anche al lettore chi esso sia, ma, come succede anche ne La promessa di Friedrich Dürrenmatt, la mosca/assassino non cadrà nella tela che gli tende il ragno/investigatore, bensì sarà quest’ultimo a perdere la partita; sia perché la struttura “gialla” è solo un pretesto per narrare d’altro. In Molto bello questo pseudo giallo di Leonardo Sciascia. Lo chiamo “pseudo” sia perché, in realtà la cosiddetta ricerca del colpevole si risolve in un nulla di fatto, nel senso che diviene poco a poco chiaro anche al lettore chi esso sia, ma, come succede anche ne La promessa di Friedrich Dürrenmatt, la mosca/assassino non cadrà nella tela che gli tende il ragno/investigatore, bensì sarà quest’ultimo a perdere la partita; sia perché la struttura “gialla” è solo un pretesto per narrare d’altro. In questo senso, le due opere si somigliano. Non per nulla Italo Calvino scrisse che in A ciascuno il suo “il giallo viene smontato” e Dürrenmatt stesso sottotitola il suo romanzo “Un requiem per il romanzo giallo”. Ma le ragioni sono diverse. Lo scrittore svizzero individua nel caso l’eterno, imponderabile fattore che farà naufragare la ricerca di giustizia dell’uomo, mentre per Sciascia la beffa sarà piuttosto costituita da elementi più “concreti”, se così possiamo definirli, e più direttamente riconducibili alla natura dell’uomo: il tipo di cultura, la corruzione, l’inadeguatezza, le mafie di vario genere, i condizionamenti, la superficialità, gli inganni, il desiderio di potere e, last but not least, il richiamo della sensualità. Una spirale emotiva che finirà inevitabilmente per trascinare Laurana verso morte certa, nella quasi totale indifferenza di un mondo che continua imperterrito a cicalare. Diverso è naturalmente anche lo stile. Più freddo e quasi asettico quello di Dürrenmatt, più intenso, benché asciutto quello di Sciascia. E diversi anche i luoghi. Confondere la Svizzera con la Sicilia non sarebbe possibile, anche se Dürrenmatt denuncia vizi per certi versi assai simili, come la pesante ipocrisia o la bigotteria strisciante, sia pur sorretti da differenti motivazioni. Una buona lettura, non vi è dubbio, e una trama condotta con maestria ed eleganza sino all’ultimo, amaro scioglimento. Of the eight or so Sciascia books I've read, this is my favorite. Una lettera anonima, due morti ammazzati dei quali uno è il vero obiettivo e l'altro un effetto collaterale, un delitto che si vuole passionale. Tutto chiaro, o no? Non so dire se è Sciascia incredibilmente moderno, oppure è la realtà italiana che non è cambiata di una virgola in tutti questi anni. Sicuramente la chiesa, la politica, la piccineria della gente, gli intrallazzi, l'omertà e la mafia non sono diversi, ora come allora. In più, il libro è scritto benissimo. Facciamo ciò che è giusto o ciò che conviene? Un giallo ambientato in Sicilia. I protagonisti sono: disonestà, finzione, furbizia, compromesso, omertà. Chi non si adegua, o semplicemente cerca di fare ciò che è giusto e non ciò che conviene, è un "cretino", uno stupido ed è giusto che ne paghi le conseguenze. Ecco cosa ci racconta Sciascia qui, con sapienza: che ciò che differenzia buona parte degli italiani dal resto del mondo è un modo di pensare e comportarsi volto principalmente al tornaconto personale, indipendentemente dalle regole e da leggi buone solo per i fessi. Preciso, essenziale, diretto, doloroso. Ahimè. To Each His Own is only one of the author's long list of novels translated into English; it is a literary, intelligent and yet unconventional novel of Italian crime fiction. And it's superb. "This letter is your death sentence. To avenge what you have done, you will die." He waves it off guardedly as a joke, because he can't think of anything he's done to merit this kind of warning, but when he and his friend To Each His Own is only one of the author's long list of novels translated into English; it is a literary, intelligent and yet unconventional novel of Italian crime fiction. And it's superb. He waves it off guardedly as a joke, because he can't think of anything he's done to merit this kind of warning, but when he and his friend Dr. Roscio go off hunting the next day, they do not return. Only their dogs are left to announce their deaths. The authorities make a perfunctory appearance, questioning the pharmacist's widow as to what kind of behavior could have built up such animosity that it would be worthy of revenge. Settling on the fact that he must have been killed by a jealous husband or lover because of some kind of adulterous behavior, a sort of collective fiction is born regarding the pharmacist's (unfounded) extramarital flirtations. Once that ball has started rolling and the rumors start flying, his "adulteries" become the "official" reason for his death among the locals. Roscio's death is put down to him being the poor guy who just happened to be an innocent bystander; caught in a bad place at a bad time, the victim of Manno's "bad" behavior. After the funerals are over, having settled on a reason for the murders, the townspeople turn their focus to the future of Roscio's voluptous widow, Luisa. "...Laurana had a kind of obscure pride which made him decisively reject the idea that just punishment should be administered to the guilty one through any intervention of his. His had been a human, intellectual curiosity that could not, and should not, be confused with the interest of those whom society and State paid to capture and consign to the vengeance of the law persons who transgress and break it." Laurana is an interesting character: he lives a sheltered life with his mother and in the halls of academia. He has a firm "belief in the supremacy of reason and candor over irrationality and silence...", even though he's a lone stranger within a culture that exemplifies the opposite. He lives in a society where truth falls victim to the ongoing maintenance of the accepted status quo by people "who have every interest in working to keep the impunity coefficient high." His curiosity is unwelcome in such a system, and along the way his need to know will turn his understanding of the real world on its head and even worse. "used storytelling as an instrument for investigating and attacking the ethos of a culture -- the insular, mafia-saturated culture of Sicily -- which he believed to a metaphor of the world." One of the basic points the author makes throughout this book is that there are various levels of criminality in which we are all complicit, so in that sense, the metaphor is not too far off the mark. Readers of more socially and politically-oriented crime fiction will like this book, as will readers of literary fiction. It's intelligent, thought-provoking and frankly, is very high on my list of good books for the year. I'm completely taken aback that I've never even heard of Sciascia before. I'm particularly surprised since my father was a fan of 'crime' fiction and built up an enormous library of them including much that was quite obscure, yet I see on our old database that we never stocked this author. Lots has been written about his work - see Penkevich's review on GR for a nice discussion of this particular book. I was particularly interested to see Vincenzo Salerno's comment that 'His rough and tumble lite I'm completely taken aback that I've never even heard of Sciascia before. I'm particularly surprised since my father was a fan of 'crime' fiction and built up an enormous library of them including much that was quite obscure, yet I see on our old database that we never stocked this author. This is a social critique as well as a who-dun-it. The dichotomy of layers to secret and "known" reputation- always exploded in effect within the Sicilian placement! The flawed cognition from the get-go, yes, about the crime as a whole. But also for and about the "normal" townspeople. Who may or may not hold reality knowledge but also are most undisciplined and even possibly, more flawed in their opinion. In this town it is the most unlikely, a teacher, who quietly and logically observes a diffe This is a social critique as well as a who-dun-it. The dichotomy of layers to secret and "known" reputation- always exploded in effect within the Sicilian placement! The flawed cognition from the get-go, yes, about the crime as a whole. But also for and about the "normal" townspeople. Who may or may not hold reality knowledge but also are most undisciplined and even possibly, more flawed in their opinion. In this town it is the most unlikely, a teacher, who quietly and logically observes a different route toward the motives and identity of the killer. It's complex as the Sicilian history is convoluted in subjection. A simple warning note (as in the threat received) being never exactly what it appears to be. And layers of purpose never the ones that are the more exposed to "eyes". This is short and yet never an easy read, IMHO. The Sicilian wording and tensing- word placements are lyrical and there are several excellent quotes per section. But it is all within a supposedly passive sense, in more than the prose style too. Also in the emotive fall outs. Ένα θαυμάσιο, μικρό και πλήρες, μυθιστόρημα. Καταπληκτικά "χτισμένοι" χαρακτήρες, καταγγελία της Μαφίας, χιούμορ, μυστήριο - τα πάντα. Υπέροχη γραφή, αριστοτεχνική μετάφραση του Ανταίου Χρυσοστομίδη. Spegni l'abat-jour. Indolentemente ti sfili dal guscio caldo del piumone, come un acrobata stiracchiandoti per arrivare alla scrivania senza abbandonare il (e senza cadere dal) letto e posarvi libro occhiali matita fazzoletti mezzo pacco accartocciato di biscotti orecchini (è perché non ho il comodino). A manovra compiuta, torni indietro - rewind - ritorni dall'allungamento felino allo stato di lumaca impaurita che languida si rintana nella sua casetta, strattoni il piumone fin sopra il naso, sprimacci il cuscino, inspiri, tiri su col naso, serrandi gli occhi arrendevolmente, espiri. E in questo lasso assonnato di tempo ti si è formato nel cuore, spietatamente, un grumo meschino di fili di nebbia nera, che lenta si espande, conquista campo, lenta nidifca, ramifica, stride, lenta gioisce. Un grumo di neri vermicelli sulfurei, pronto a seppellirti in sogni agitati: è lo stato di impotenza di piombo, la condizione di ineluttabilitá che eternamente sembra scriversi, il sentimento di sdegnosa sfiducia per le cose umane in cui Sciascia ti schianta. Impotenza dinnanzi a cose tanto radicate nel sentire comune da serpeggiare invitte nella terra e nel sangue, talmente irreversibilmente mescolate alla terra e al sangue da conquistarsi la qualità di cose che così sembrano essere da sempre, secondo natura. Da conformare una natura umana che non sa pensarsi diversa da com'è, perché non riconosce l'intoppo, non si stupisce, ma fluisce spenta. A ciascuno il suo, principio-contenitore che si riempie delle più varie sostanze e, quindi, nulla davvero raccoglie: da principio antico del diritto romano (che è il diritto padre nobile dei nostri diritti) ad agghiacciante ammonimento scolpito nel ferro sul nero cancello del campo di concentramento e sterminio di Buchenwald - Jedem Das Seine - attraversa la storia umana, assumendo in Sciascia la consistenza di una nube invisibile, materia sottile, che sale dalle radici come sostanza intangibile di cui tutti partecipano, che tutti predicano e praticano, rispettano come legge della natura giusta, come dato di fatto di una natura che ti fa capitare quello che meriti, da commentare tutt'al più come pettegolezzo. *Kasaba zihniyetinin bataklığında sürekli yaşanan, gizlimsilik ardında herkesin bildiği ("ama kimsenin bilmediği") ve sessizlikle onayladığı iğrenç alışkanlıkların, güç/suç ilişkilerinin romanı. "Şu bizim ülkemiz kendi görüntüsünü yansıtacak AYNALARDAN, durumunu saptayacak BİLİMLERDEN hoşlanmıyor işte. Çizgileri BELİRSİZ bir bugünde, BİÇİMSİZ, RENKSİZ, yarınının ne olacağı bilinmeyen bir güncellikte yaşamak ihtiya *Kasaba zihniyetinin bataklığında sürekli yaşanan, gizlimsilik ardında herkesin bildiği ("ama kimsenin bilmediği") ve sessizlikle onayladığı iğrenç alışkanlıkların, güç/suç ilişkilerinin romanı. "Şu bizim ülkemiz kendi görüntüsünü yansıtacak AYNALARDAN, durumunu saptayacak BİLİMLERDEN hoşlanmıyor işte. Çizgileri BELİRSİZ bir bugünde, BİÇİMSİZ, RENKSİZ, yarınının ne olacağı bilinmeyen bir güncellikte yaşamak ihtiyacında. OYUNUN KURALI gereği GEÇMİŞİN BİLİNCİNİ ve GELECEĞİN KAYGISINI dile getiren AYDIN, bu eğilimlerinden dolayı itiliyor, kovuluyor, sürülüyor. MECLİS seçimlerinde, aile geleneğine, gençlik anılarına uyarak SOSYALİST olurdu; BELEDİYE seçimlerinde ise ilçenin hatırı için HIRİSTİYAN-DEMOKRAT; çünkü Hıristiyan-Demokratlar başa geçtiğinde hükümetten bir şeyler KOPARMAYI başarıyorlardı; hem böylelikle SOL partilerin çıkarmaya uğraştıkları AİLE GELİRLERİ yasasına karşı da kendini güvenceye almış oluyordu. "Ölen ölür, KALAN SAĞLAR bizimdir" sözünü duyan kuzeylinin gözünün önüne TRAFİK kazasında sağ kalan, Sicilyalının gözünün önüne ise birini öldüren KATİL gelir. YABANCI olmak, ancak bir SİSTEMİN DÜZENİ olduğunda yaşanabilecek bir lükstür. İnsan CELLAT yerindeyse daha FAZLA, MAHKÛM yerindeyse daha AZ gerçekten yanadır. Bizim PEYNİRİN içindeki KURTÇUKLARIN BACAKLARINI çıplak gözle göremeyişimiz, kurtçukların da onları GÖREMEDİĞİNİ sanmamız için yeterli neden değildir. ...perchè è tra quelle conversazioni dette sottovoce, incorniciate da attestazioni di ignoranza che paiono virgolette, che in quell'isola meravigliosa e maledetta bisogna cercare la verità. Non certo nelle indagini delle forze dell'ordine, rappresentanti di uno stato che per i siciliani non significa nulla; non certo nelle attestazioni di buona politica e di progresso della Democrazia Cristiana, il partito che in nome della libertà e dell'anticomunismo per quarant'anni ha schiacciato un paese intero sotto un giogo di corruzione, di violenza privata, di malaffare. Si vede forse meno la Sicilia in questo "A qualcuno il suo" rispetto per esempio al "Giorno della civetta", ma questo non significa certo che sia assente, anzi. Solo che, nei giorni che seguono il tragico omicidio del dottor Roscio e del suo amico, il farmacista Manno, a raccontare questa terra è esattamente quello che non si vede. I pettegolezzi, il sottaciuto, l'omertà di chi tutto conosce però niente sa, la rassegnazione di un popolo piegato a regole ancestrali che non sono quelle del vivere civile, e che pure la Democrazia Cristiana ha fatto proprie tanto bene. Questa è la sola verità che sia ammessa in Sicilia, e chi intende darle un significato diverso ne paga comunque le spese, come si scoprirà leggendo il libro. La chiave di lettura e la rappresentazione che Sciascia fa della propria terra sono talmente amare che "A ciascuno il suo" resta comunque un romanzo profondamente politico, anche se l'intreccio in sé sembra andare in una direzione diversa. Resta vero che la capacità di restituire una realtà come quella isolana in maniera tanto intensa e disturbante con poche pagine scritte alla perfezione e che comunque si leggono d'un fiato, conferma Leonardo Sciascia come una primissima penna nel panorama letterario italiano del Novecento. Read in Italian, the English translation being To Each His Own. In a small Sicilian town the local pharmacist, Manno, receives an anonymous letter threatening him with death for unexplained reasons. He and his friends, unable to fathom any reason for the threat, conclude that it is a joke or hoax, but soon, while hunting, Manno and his good friend Dr. Roscio are murdered. The townsfolk believe that Manno must have had some secret, probably an adulterous affair, for which he was slain and that Dr. Read in Italian, the English translation being To Each His Own. In a small Sicilian town the local pharmacist, Manno, receives an anonymous letter threatening him with death for unexplained reasons. He and his friends, unable to fathom any reason for the threat, conclude that it is a joke or hoax, but soon, while hunting, Manno and his good friend Dr. Roscio are murdered. The townsfolk believe that Manno must have had some secret, probably an adulterous affair, for which he was slain and that Dr. Roscio was an unfortunate coincidental casualty. Many rumors circulate, but gradually the furor dies down and the crime is unsolved. However the local schoolteacher, Professor Laurana, continues to think about it and is convinced that more is going on. Gradually theories begin to revolve around the doctor and his young widow. Now Manno is viewed as an incidental victim. The plot becomes more complex, and multiple people and theories circulate. Laurana’s investigations reveal hidden loyalties, malevolent motives, and societal, cultural, and political practices and patterns that obscure the picture and make solution of the crime increasingly unlikely. The end of the narrative is unexpected but not unconvincing. This is an intriguing and well written novel, providing not only immediate entertainment but a view into rural Sicilian life in the mid-20th century. The author’s primary interest seems to be this social commentary more than the solving of the crime itself, but that does not detract from the novel’s excellence. Narrativa tão ou mais complexa do que "O Contexto", sobre as várias camadas de interpretação da origem de um crime, mas com a mesma ironia e sarcasmo no que diz respeito aos apontamentos sobre as personagens e o ambiente em que se encontram. Tem passagens verdadeiramente singulares. Το φινάλε της ιστορίας ήταν πραγματικά απίστευτο. Η πικρή και καυστική ειρωνεία. Ο κόσμος το έχει τούμπανο και ο Λαουράνα κάνει τον ντετέκτιβ! 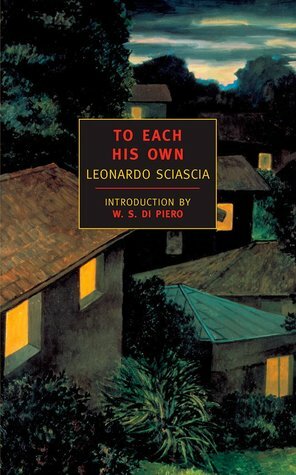 Leonardo Sciascia (1921-1989) wrote of his unique Sicilian experience, linking families with political parties, the treachery of alliances and allegiances and the calling of favours that resort in outcomes that are not for the benefit of society, but of those individuals who are in favour. Sciascia perhaps, in the end, wanted to prove that the corruption that was and is endemic in Italian society h Leonardo Sciascia (1921-1989) wrote of his unique Sicilian experience, linking families with political parties, the treachery of alliances and allegiances and the calling of favours that resort in outcomes that are not for the benefit of society, but of those individuals who are in favour. “- Lei non crede in niente - disse il professore.